I should have prepared something special but it wasn’t enough time. Why so special? Because I just realized this will be post 100 and it would have been nice to have something special to blog. Part of the boost up I intend to create a blog at the end of each year in which we will review the year, the posts we had here and whatever I feel has marked the year, good or bad. And to push it a bit more, every 50 posts I plan to (shall I say try?) create a more different one, where we dedicate a lot of time to one subject covering an advanced topic, or maybe a low level post for new users or for those changing CAD and needing to get up to speed with Inventor. So let’s do a review of 2014 and what I have been blogging about, since we missed it last year and because 100 found me completely unprepared. January 2014 we looked at using trim-extend as one command, we added British threads to our design data, we looked at fixing missing references and renaming the browser nodes with mFManager and we view a large assembly trick on spinning the view by current component. February 2014 was mostly a mFManager month, we covered the advanced file search functionality, the drawings function, extract-restore, and we covered a the really powerful rename function. On that month we had a different post on how we solved the Educational Product stamp on our drawings. March 2014 was an mFManager exclusive month. We checked integrity of our files with Project / Assembly Verification tool, we detailed the rename function a bit more, and then Codify and Cloning. The last two are really powerful and I use them ALL the time to speed up my project completion. April 2014 we came to our senses and we covered a bit of tube and pipe; more exactly adding ISOGEN Description and ITEM CODE to our authoring window automatically. We looked at customizing the part number and description of frame generator components, we added RAL colors to our design data library and also added Unistrut shapes to Content Center for use in Frame generator. May 2014 we looked at importing and constraining AutoCAD geometry and while I know that you can constrain end points right after “paste” by using right click, we rather focused on using the auto-constraints function in Inventor. AutoCAD had a bit more coverage with selection tools, and the overkill command that I use to clean up the drawing before import. At the end of the month we speed up placement of fasteners by using favourites menu, ALT drag functions and associated patterns. 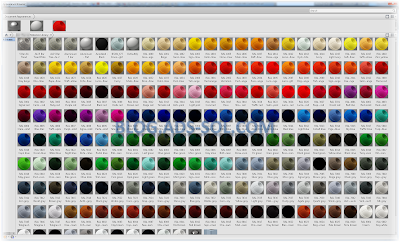 June 2014 is when we use ballooned filter on parts list, changed the recent file count on AutoCAD, hacked the registry to remove reflective shaded views, edit locked sketches with vb (like those for shaft generator) and we reviewed the magical code for creating Parts Lists with Thumbnails. Our mood dropped when Showcase was discontinued but it came back up when Autodesk revoked the decision and also when Space Mouse become wireless. July 2014 has been covered by things like, dimensioning arc tangent, iLogic rules and code injector, xml parameter edit and copy, Lee Mac’s advanced search replace for AutoCAD and full list of object selection tools for AutoCAD. It’s then when we located folders with iLogic, changed AutoCAD quick properties and Shift deselect variables, and we looked at rounding inventor parameters. August 2014 was mostly iLogic, we edited parts lists, tagged valves and equipment on drawings, automated pdf/dwf publishing, and we looked at mouse usage and my crazy stats of over 5500 clicks and 3500 scrolls each day. September 2014 was when we looked at, numeric increment for AutoCAD, changing flipped dimensions with “driven” toggle, how to edit dimensions difficult to select, authoring branch fittings for T&P, creating multi-line iproperties and how to use replace component on T&P authored fittings. October 2014 we looked at adding part info on dxf exports, fixing sheet metal imports with delete face, the well acclaimed “item number on drawing views”, tagging components or renaming browser nodes, and I have asked you to vote for two ideas on Autodesk, more exactly “route centrelines for visible items only” and “multiple selection change size”. November 2014 is when the 1hour video on Tube and Pipe was done, and we have detailed the video over two more posts here and here. We then looked at how to identify drawing view types to use in iLogic and we updated the code for the browser name. December 2014 was short due to holidays and because of my son’s birth but we managed to detail tube and pipe video with a third post, we looked at how to sort, renumber and cleanup the BOM and on the final thought we had tube and pipe and a couple of unneeded errors. I look forward to this year’s review, because it brings back a lot of good memories and I enjoy re-reading all the comments, emails, and messages you sent as well as seeing this as an opportunity to see if there’s new info or improvements I can bring in on the subject.